If you are a fan of Isherwood’s “Goodbye to Berlin” and enjoys the idea of experience a true Berlin Cabaret story, you are in for a treat. Basically the Broadway Musical “Cabaret” and the character Sally Bowles were inspired by Isherwood’s Berlin short stories. 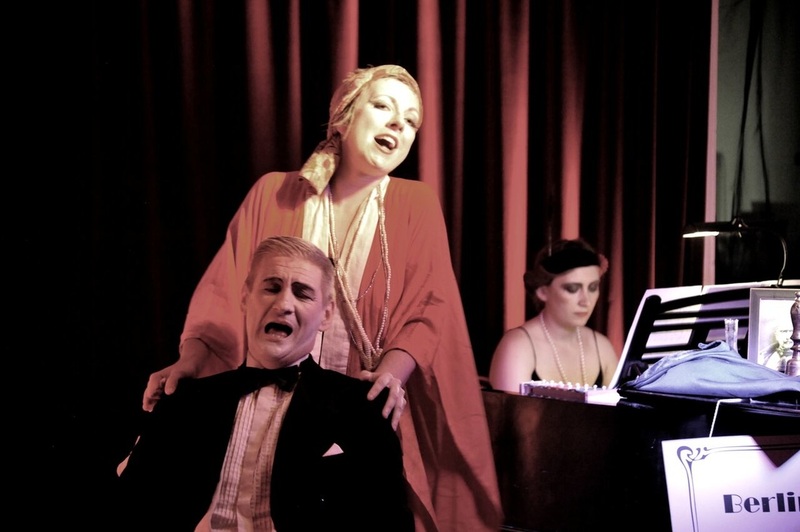 Come here and you will definitely EXPERIENCE OLD-SCHOOL CABARET VIBES in a super real and intimate way. At a bar called Sally Bowles, nonetheless! To arrive at the venue take the subway (U1, U2, U3 or U4) to Nollendorplatz, the heart of old school Gay Berlin. Walk about 5 minutes (see map below). Once you arrive at this very atmospheric and charming bar, sit at the bar area. Order drinks, interact with the hosts and other guests while you wait for perhaps one of the most unique and authentic experiences one can have in Berlin these days. As soon as the show is about to start you are invited back, to an area with no more than 10 little tables. Look all the way back and you will spot the tiny and charming stage/piano area. Get ready for a trip. 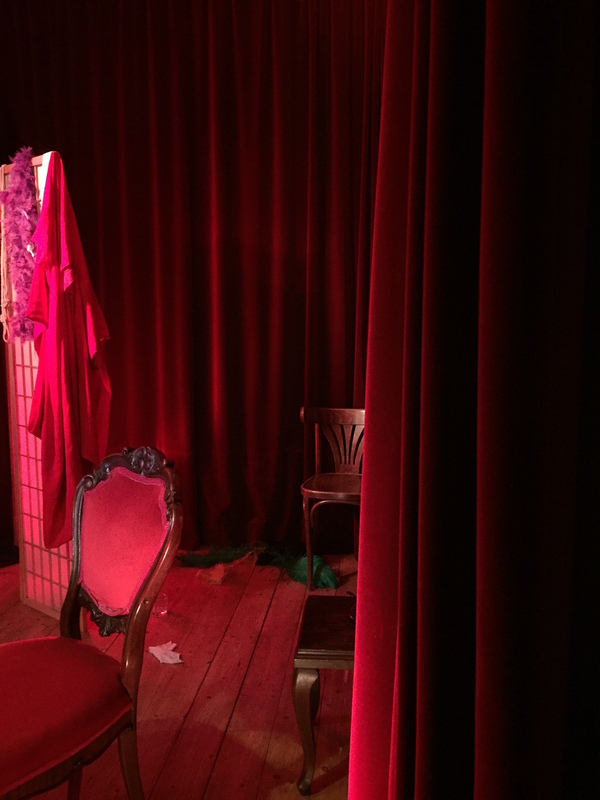 A great Berlin Cabaret trip! 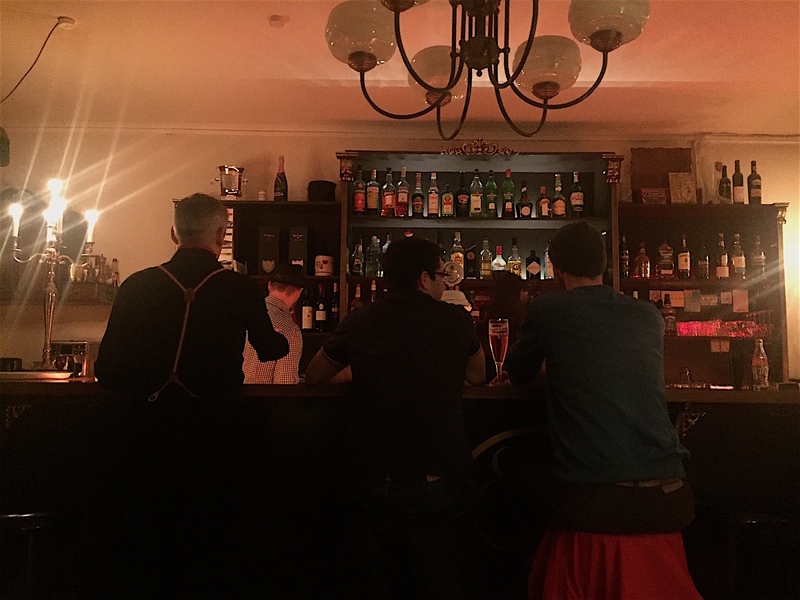 The historical and charming trip starts in Paris, in 1881 in a converted post office overlooking Montmartre at a little bar called Le Chat Noir. “News travelled fast, first to Munich and then to Berlin where later during the 1920’s, the rampant social and sexual freedom of the Weimar Republic contributed to the further development of the genre. 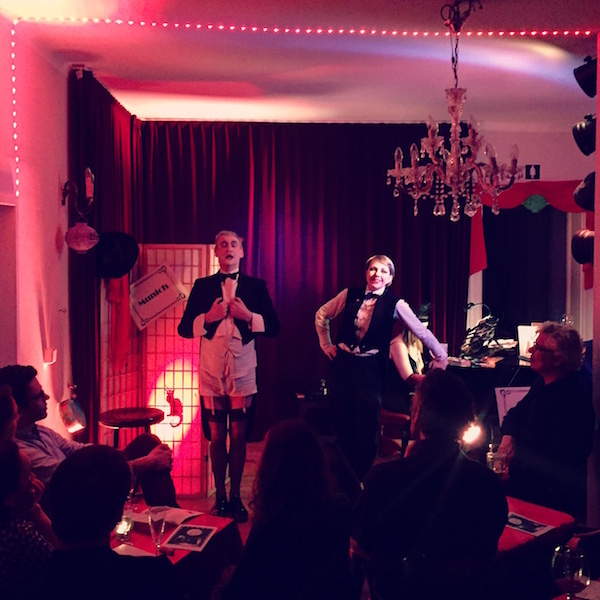 Satirical sketches, risqué songs and poems of protest reigned before the party was brought to an abrupt end in 1933.” Maurice, Anne and Mirjam really transported us to what a true Berliner Cabaret might have looked like back then. And we loved it! Combine this amazing show and bar with a neighborhood walk and you are guaranteed wonderful and nostalgic memories you will never forget.